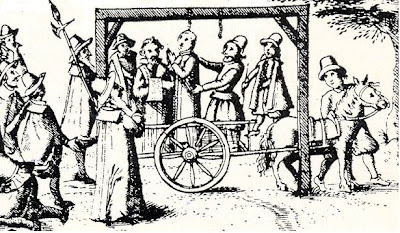 “There were people called Anglers, from the nature of their method of depredating, which was thus.—They had a rod or stick, with an iron hook affixed: this they introduced through a window, or any other aperture, where plunder might be procured, and helped themselves at pleasure; the day was occupied by them in the character of beggars, when they made their observations for the angling of the night. “Palliards or Clapperdogeons, were those women who sat and reclined in the streets, with their own borrowed or stolen children hanging about them, crying through cold, pinching, or real disease, who begged relief as widows, and, in the name of their fatherless children, gaining by this artifice, ‘a great deal of money, whilst her comrogue lies begging in the fields, with climes or artificial sores.’ The way they commonly take to make them is by sperewort or arsenic, which will draw blisters; or they take unslacked lime and soap, mingled with the rust of old iron: these being well tempered together, and spread thick upon two pieces of leather, they apply to the leg, binding it thereunto very hard, which in a very little time would fret the skin so that the flesh would appear all raw, &c. &c.
“Fraters were impostors who went through the country with forged patents for briefs, and thus diverted charity from its proper direction. “The Whip-Jacks have left us a specimen of their fraternity. They were counterfeit mariners, whose conversations were plentifully embellished with sea-terms, and falsehoods of their danger in the exercise of their profession. Instead of securing their arms and legs close to their bodies, and wrapping them in bandages (as the modern whip-jack is in the habit of doing, to excite compassion for the loss of limbs and severe wounds), the ancients merely pretended they had lost their all by shipwreck, and were reduced to beg their way to a sea-port, if in the country; or to some remote one, if in London. “Mumpers.—The persons thus termed are described as being of both sexes: they were not solicitors for food, but money and cloathes. ‘The male mumper, in the times of the late usurpation, was clothed in an old torn cassock, begirt with a girdle, with a black cap, and a white one peeping out underneath.’ With a formal and studied countenance he stole up to a gentleman, and whispered him softly in the ear, that he was a poor sequestered parson, with a wife and many children. At other times, they would assume the habit of a decayed gentleman, and beg as if they had been ruined by their attachment to the royal cause. Sometimes the mumper appeared with an apron before him, and a cap on his head, and begs in the nature of a broken tradesman, who, having been a long time sick, hath spent all his remaining stock, and so weak he cannot work! The females of this class of miscreants generally attacked the ladies, and in a manner suited to make an impression on their finer feelings.